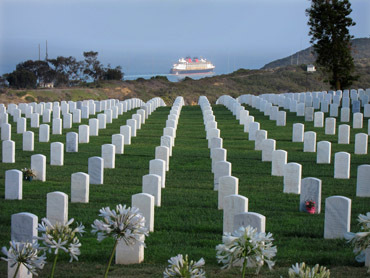 "Time-lapse video of San Diego Bay on July 4, 2018"
"Steve's cartridge remains at Fort Rosecrans National Cemetery, July 4, 2018"
The cemetery is located on Fort Rosecrans Military Reservation (Point Loma peninsula). 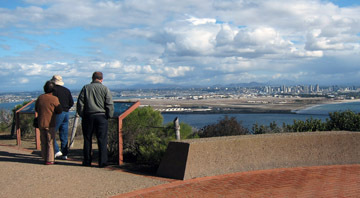 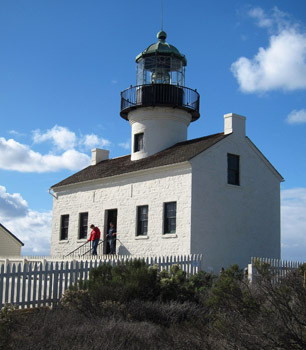 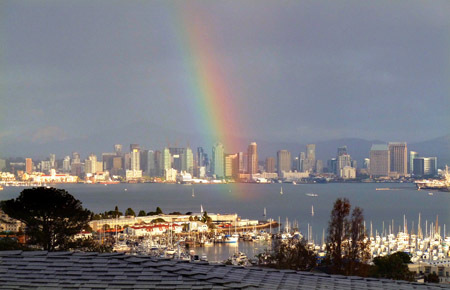 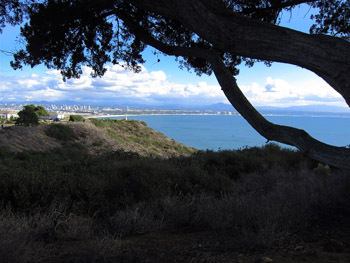 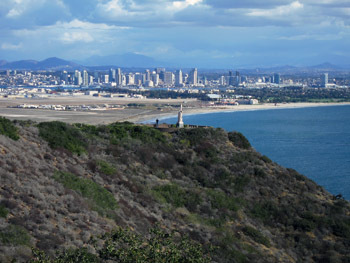 Approximately 10 miles west of downtown San Diego, it overlooks both the city to the east and Pacific Ocean to the west and borders Cabrillo National Monument. 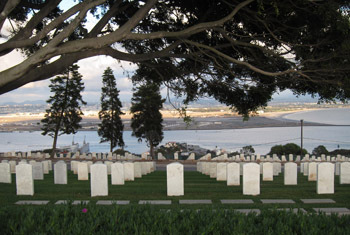 Fort Rosecrans is named after William Starke Rosecrans, a Union general in the American Civil War. 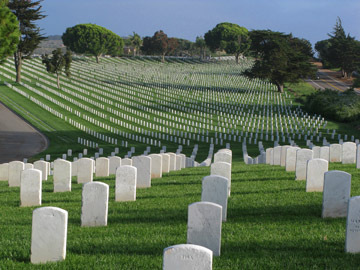 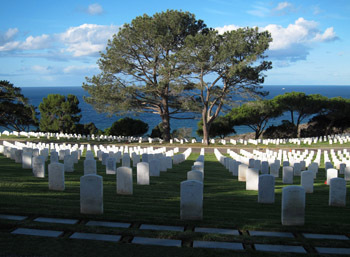 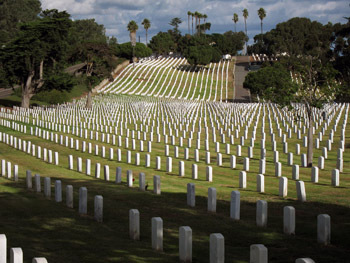 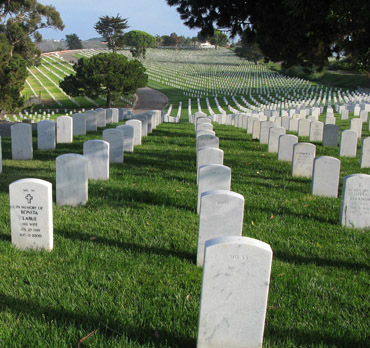 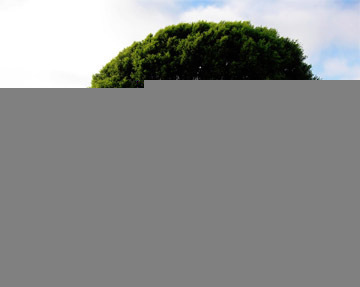 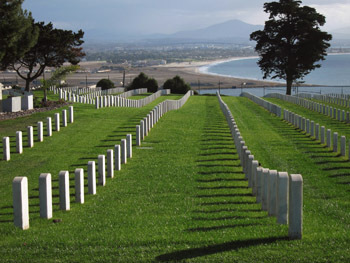 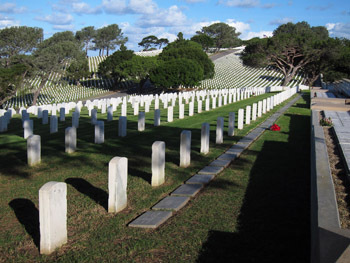 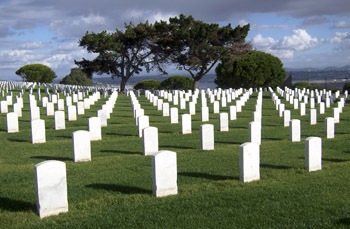 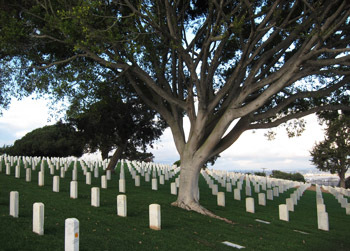 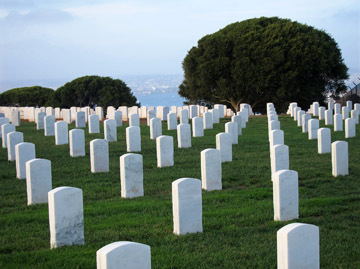 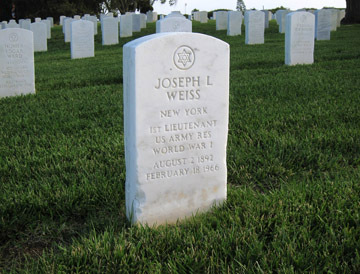 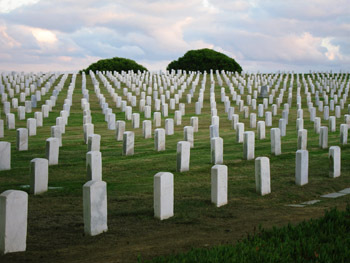 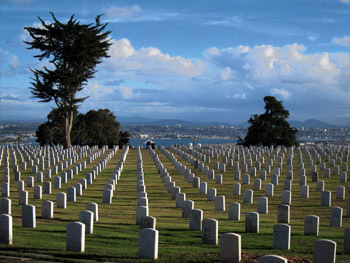 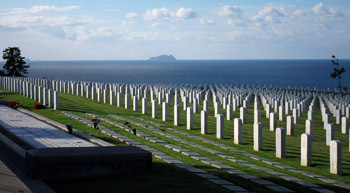 This US military cemetery is registered as a California Historical Landmark. 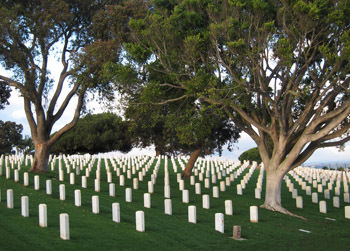 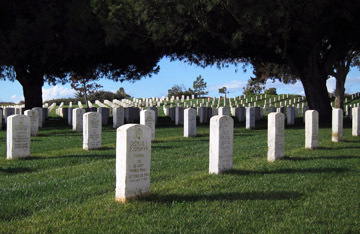 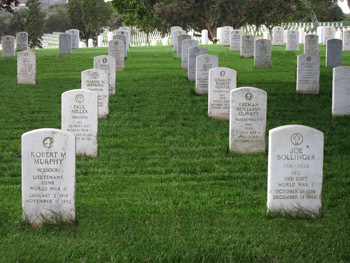 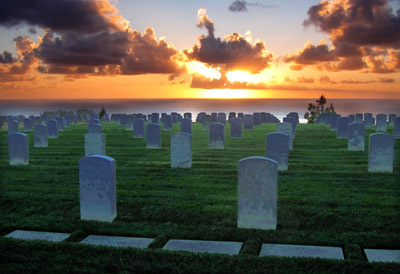 Many Fort Rosecrans interments date to the early years of the California Republic, including the remains of the casualties of the Battle of San Pasqual. 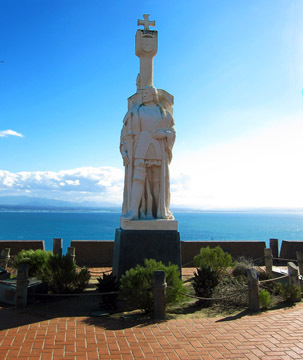 Shortly after the United States declared war on Mexico in May 1846, Brigadier Stephen W. Kearny was tasked with conquering Mexico's northern provinces, New Mexico and California. 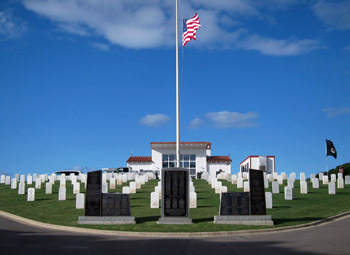 The monument is adacent to Fort Rosecrans National Cemetery at the southern tip of the Point Loma Peninsula in San Diego, California. 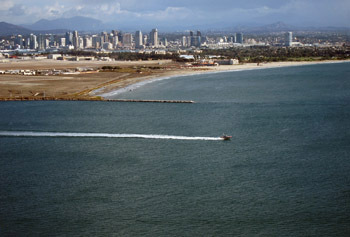 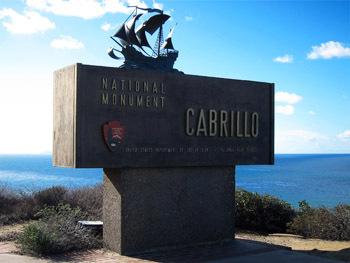 It commemorates the landing of Juan Rodríguez Cabrillo at San Diego Bay on September 28, 1542. 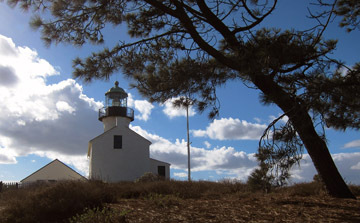 This event marked the first time that a European expedition had set foot on what later became the West Coast of the United States.